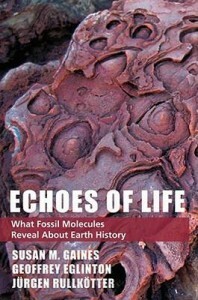 Echoes of Life focuses on the history and synthesis of the discipline organic chemistry, from early experiments in the ‘30s (along with many musings long before then) to current areas of active research. The book moves along in a fantastic story-book-style narrative while never straying from the fundamental science being described. The book starts off with a thorough introduction, across a few chapters, to the reasoning behind organic chemistry and the development of analytical techniques that we use routinely today. The text then moves on very nicely, introducing various cross-discipline strategies as they were introduced over the past 70 years or so. It is very refreshing to come across a scientific reference text that doesn’t just jump straight in to ‘exciting’ research. The authors take their time, quite rightly so, to guide us through the history of biomarker research, leading us on with the basic knowledge needed to take in more complex chapters further on. Explanations are as concise as they can be given the breadth of work that is being presented and the figures and diagrams used to aid these are superb. My one criticism of the book, however, is that it could have benefited from a bit more of a textbook feel to it. For example, diagrams should not be just slotted into the text but referenced more readily. Along with that, although the text is very readable, it would also have been helpful to have more sub-headings within the text, to help with reference. All in all an excellent read, very accessible for the academic and enthusiast alike, but perhaps more functional as a book to read over a coffee rather than a suitable scientific text for reference.